**SAMPLE PHOTOS ONLY** HOME IS/WILL BE UNDER CONSTRUCTION WITH AN ESTIMATED COMPLETION OF MAY 2018. NO CDD FEES. This beautiful Brand New ''DREAM'' Series, Dream Finders Home is the Cambridge Floor plan, 3 Bedroom, 2 Full Baths, with an Open Floor Plan concept layout with plenty of room for the family to spread out. Covered Lanai and Stacked Stone Accents on the front elevation. Designer Kitchen layout with full overlay Maple upper and lower cabinets. 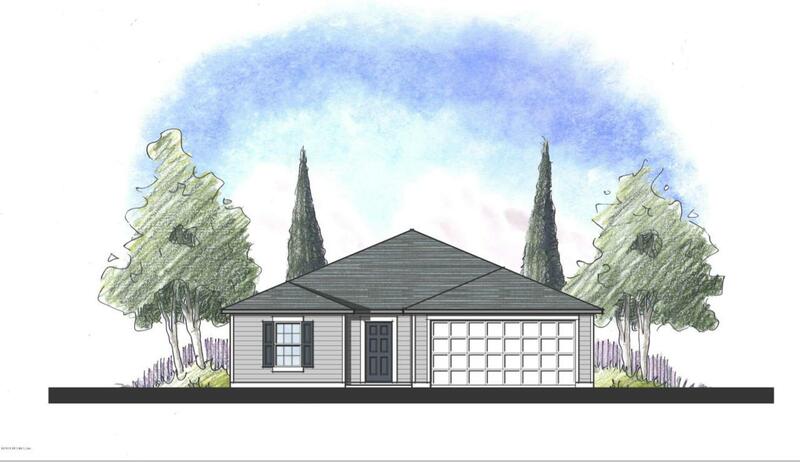 It will feature Cementious Lap Siding and three sides of modern engineered vertical siding, ZIP Roof System, Stainless Steel Appliances, Full Sod and Irrigation and many Energy Efficient standard features included. Seller pays ALL ALLOWABLE closing costs and pre-paids with use of preferred lender!